What do you think when you hear the phrase ‘democracy in the classroom’? Before I started teaching at an international state school in Berlin, I associated democracy at school with heated political debates among secondary school students and with democratic institutions like student councils. These are indeed highly valued practices at Berlin’s secondary schools. Yet learning about democracy starts before a child’s first day of school when he or she honors their Einschulung, the German tradition of celebrating a child’s enrollment in school, with family, new classmates, and teachers. Being a teacher isn’t just about teaching. It involves meetings, meetings and more meetings: with students, about students, with parents, with school management, with project partners and so on. These meetings have their own democratic structures and procedures. For example, in teacher meetings, we first vote on how exactly we will vote to make a decision. Everything is discussed and voted on and if a colleague feels he or she is treated unfairly, there is always the Personalrat (staff council) or Frauenvertreterin (representative of women’s rights) to defend everyone’s individual needs. Gender equality is also taken extremely seriously. Germans say Schüler*innen for students: a combination of the male and female form of the German word for student; and Lehrer*innen for teachers: both Lehrer (male) and Lehrerinnen (female). Learning about democracy starts early nowadays. I read an article in the Guardian about a German Kindergarten where even wee little babes who can barely speak have their say in everything from breakfast menus to nappy changes. There are weekly sessions with the toddlers about the menus and monthly meetings on toy expenditure and playground rules. The experiment seems to be a big success and more German Kindergartens are planning to run on a democratic basis. Though this is an interesting concept, I wonder if those toddlers are also learning how to work together, to collaborate and listen. At my school, we don’t let our students vote on every decision, but we do have many democratic procedures and we prioritize self-organized learning. Our K-12 students learn both English and German, as either expats from all parts of the world or born Berliners, they come from a wide range of academic backgrounds. We offer them a differentiated, project-based learning environment. The first skills that students are taught in our classrooms are self-organized learning and participation. Students have the freedom to learn independently and we make many classroom decisions together, including our classroom rules. A memorable example of how we use democratic procedures in our school is when we allowed our students to decide the theme of a Halloween party. First, each student was asked to provide a concrete suggestion for the theme. Answers ranged from Superman to Yoda to Pipi Longstocking. We then gathered the suggestions into three groups: fairytale stars, superheroes and Star Wars characters. Another round of voting resulted in the election of the fairytale stars. After some discussion and a few student tears (democracy can be painful), one student suggested that superheroes are actually also fairytale stars and could, therefore, be included in the group. Then a Star Wars fan reasoned that Star Wars characters are superheroes and should therefore also be included. The resulting vote was unanimous. In one fell democratic swoop the party theme became ‘Fairy Tale Super Star Wars Heroes’ and everyone was happy. Did the students learn democratic principles or social and collaborative skills? I think they learned both. As I prepared my classroom and materials for the coming school year, I looked for quick and easy ways to enhance student participation. I thought about how I could quickly collect feedback on a topic, on knowledge learned or on decisions made. Should I ask students to raise their hands? Or submit their answers in writing? Or ask each student to give me an answer verbally? But these all take time, and time is valuable in my classroom. There are many wonderful feedback tools nowadays, such as Socrative or Kahoot. They are quiz-based and fantastic tools to gather information about the students’ level of knowledge. But for this school year, I decided to try the Plickers app to gather feedback and opinions while giving each student a voice. Plickers is an app that is used with sets of paper cards. The cards contain characters which are simple QR codes that are scanned with the Plickers app. Students hold up a card that matches their answer or opinion and the teacher quickly scans the cards with a device. 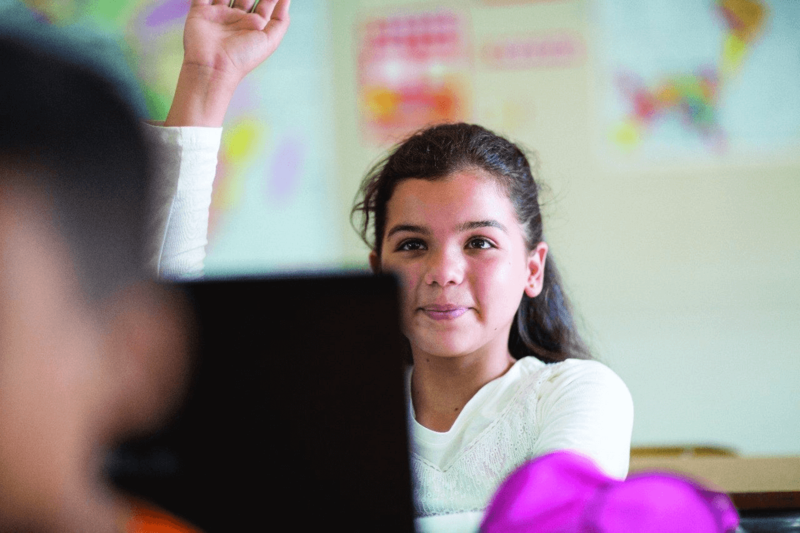 Because it is fairly anonymous, students do not feel pressure to conform their answers to their peers, as they often do when asked to raise their hands or answer verbally. Plickers is a great example of how intuitive and simple technology enables democracy and student participation. My kind of cool tool! Annemieke Akkermans teaches English, ES, Media Skills and Art at the Nelson Mandela School in Berlin, an international state school that offers the German “Abitur” as well as the International Baccalaureate. She is an avid user of education technology in the classroom and regularly shares her favorite “Cool Tools” on the NMS website. She also works for the LISUM, the federal institute for schools and media of Berlin and Brandenburg. Annemieke is head of IT for all three campuses of the Nelson Mandela School. 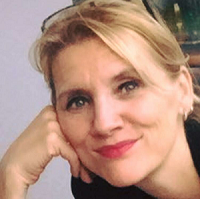 She is a connected educator on Twitter (@Shelearner) and host of educational websites 'Technology in the Classroom' and 'Computing At School Berlin'. Annemieke is an Intel Education Visionary, a Common Sense Digital Citizenship Teacher and an ed tech expert for the annual Digita Awards. She provides workshops, training and lectures on media education and coding for all in English, German, and Dutch. Annemieke has a Master of Communication Science & Media and a Bachelor of Education and is now researching the impact of the new media curriculum which will be implemented in the 2017/18 school year. Annemieke was born in the Netherlands and has been living abroad for more than twenty years. She now lives in Berlin with her husband and 3 teenage kids.